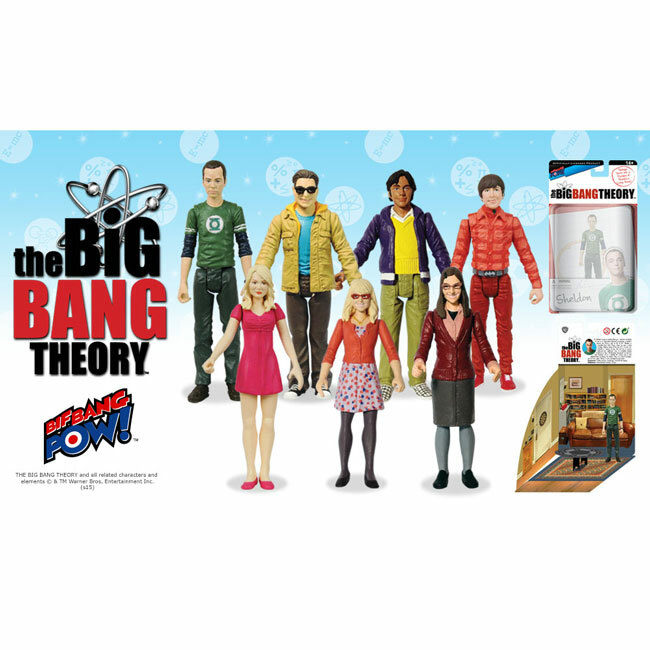 RARE COLLECTOR'S DEAL - Set of 7 Officially Licensed Big Bang Theory Character Action Figures from Bif Bang Pow! 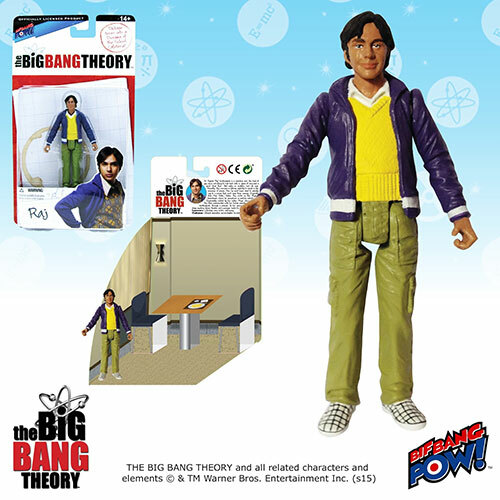 YES, you get ALL SEVEN FIGURES Sheldon, Raj, Amy, Leonard, Penny, Howard and Bernadette! Note: Character's shirt / costume may vary from displayed. 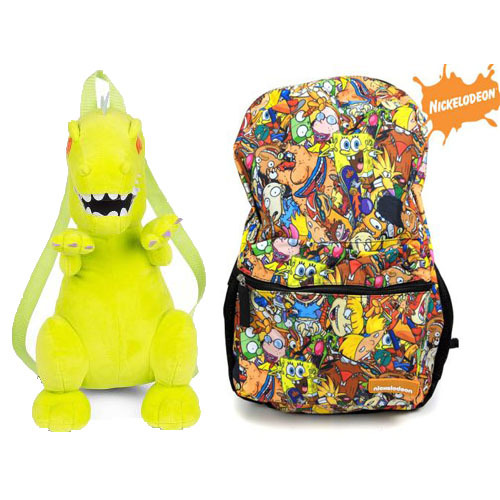 Flash, Superman etc., but you will receive ALL SEVEN CHARACTERS - EVEN BETTER, Order 3 or more sets for just $39.99 - Just $5.70 per character! SHIPS FREE! 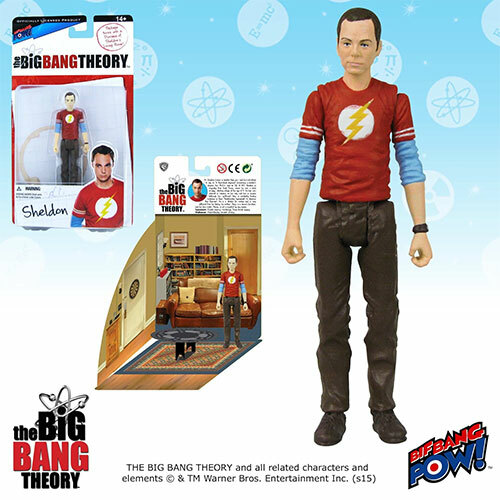 Get ready to feel like you’re right there on set with Sheldon, Leonard, Penny, and the whole gang! These detailed figures are designed to capture each of your favorite The Big Bang Theory characters in their show-inspired attire. 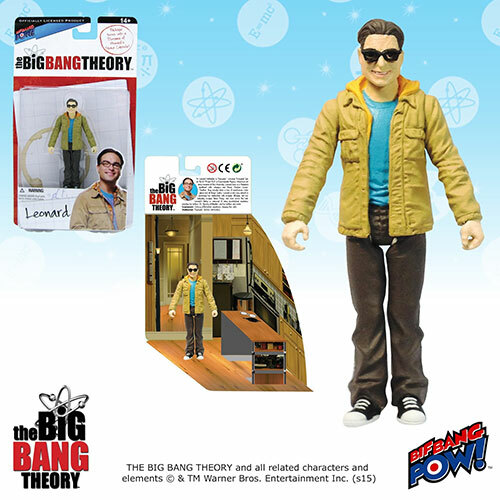 They are fashioned from plastic and have 5 points of articulation. 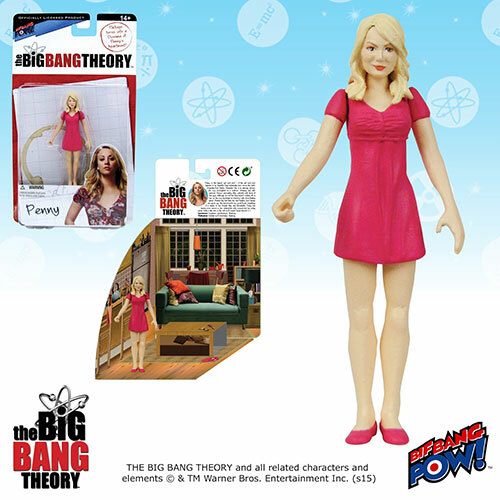 Each character comes in unique, full-color packaging that turns into a diorama, complete with pop-up features. Put Leonard and Sheldon’s packaging together to form their apartment. Place Howard in his space shuttle for an incredible space adventure. Or have all the ladies over to Penny’s apartment for a night of girl talk. 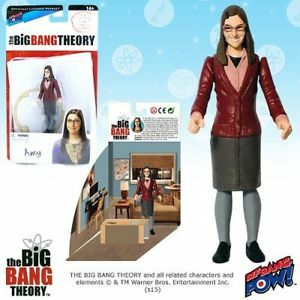 This packaging creates the perfect display piece for collectors and allows you to recreate all your favorite scenes from the show! 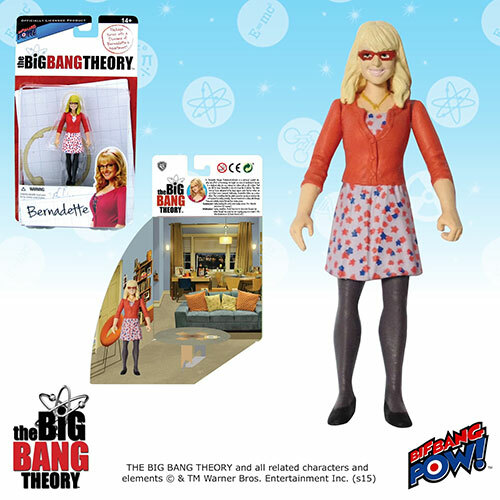 Sheldon, Leonard, Howard, Raj, Penny, Bernadette, and Amy Farrah Fowler are ready to join your action figure collection! Get ready to feel like you’re right there on set with Sheldon, Leonard, Penny, and the whole gang! 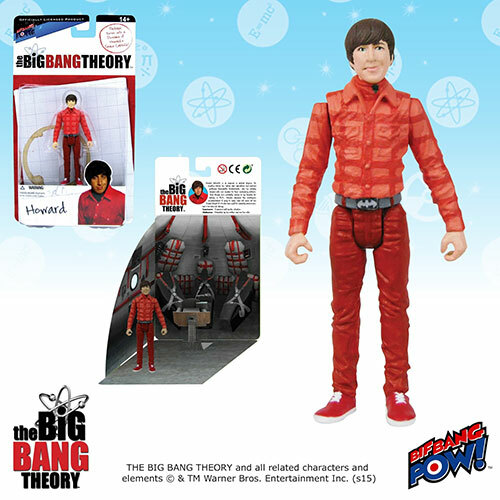 3 3/4-inch action figures of The Big Bang Theory characters from Bif Bang Pow!